Medicomp Systems, Inc. Medcin Website; 2008. Available at: http://www.medicomp.com. Accessed December 27, 2007. Columbia University Department of Biomedical Informatics. Medical Entities Dictionary Website; 2007. Available at: http://med.dmi.columbia.edu/. Accessed December 27, 2007. US Department of Health and Human Services Office of the National Coordinator for Health Information Technology (ONC). Consolidated Health Informatics. Available at: http://www. hhs.gov/healthit/chi.html. Accessed December 12, 2007. US Agency for Healthcare Research and Quality. 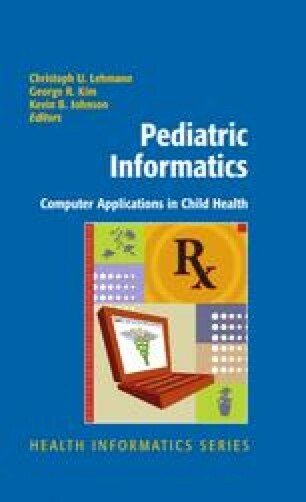 Consolidated Health Informatics, United States Health Informatics Knowledgebase; 2005. Available at: http://ushik.org/chi/. Accessed December 19, 2007. National Cancer Institute. The NCI Terminology Browser/EVS Browser Portal; 2008. Available at: http://bioportal.nci.nih.gov/ncbo/faces/index.xhtml. Accessed December 21, 2008. Gene Ontology. Gene Ontology Home; 2008. Available at: http://www.geneontology.org/. Accessed December 21, 2008.
International Organization for Standardization. ISO 1087-1 2000 Terminology Work — Vocabulary, Part 1 (Theory and application); 2000. Available at: http://www.iso.org/iso/ iso_catalogue/catalogue_tc/catalogue_detail.htm?csnumber=20057. Accessed December 20, 2008.
International Organization for Standardization. ISO 1087-2 2000 Terminology Work — Vocabulary, Part 2 (Computer applications); 2000. Available at: http://www.iso.org/iso/ iso_catalogue/catalogue_tc/catalogue_detail.htm?csnumber=32819. Accessed December 20, 2008. Veltri MA, Ascenzi J, Clark JS, et al. Successful Elimination of the Rule of Six in an Academic Children's Hospital Through a Medication-Use-System Redesign and Standardization of Continuous Infusions. ASHP 42nd Midyear Clinical Meeting; 2006. Available at: http://www. ashpadvantage.com/bestpractices/2006_papers/veltri.htm. Accessed December 20, 2008. Health Level 7. HL7 Website; 2008. Available at: http://www.hl7.org. Accessed December 21, 2008. Digital Imaging and Communications in Medicine (DICOM). DICOM Website; 2008. Available at: http://medical.nema.org/. Accessed December 14, 2007. Cerner Corporation. Discern nCode (formerly GoCode); 2008. Available at: http://www. cerner.com/public/Cerner_3.asp?id=31472. Accessed December 20, 2008.